I should’ve acted when I had the chance. As I was wrapping up my last post, there was a window of opportunity to end it once and for all. I even wrote as much. But I let the window close. And now I’ve got no choice but to finish what I began. 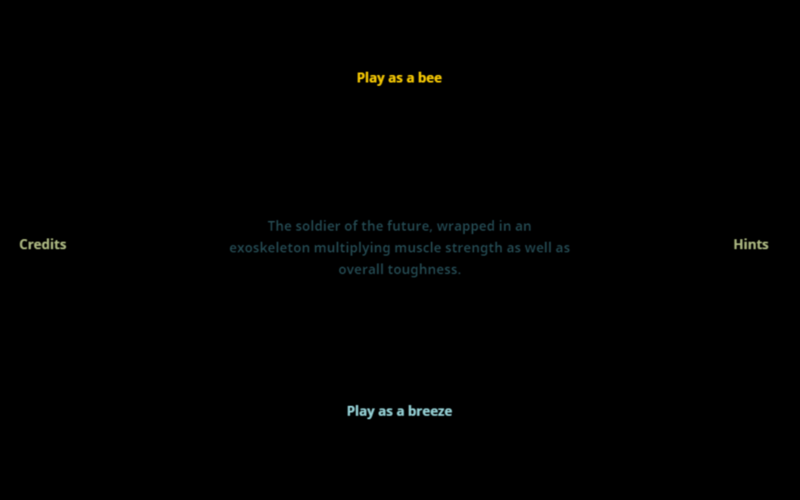 Bumping into the words “Field of Flowers” in the last world had the effect of teleporting you to a kind of lobby where you were offered a choice between continuing on as a bee or as a breeze. I chose the bee and bumbled on. You could hear the singing of birds and the buzzing of bees. 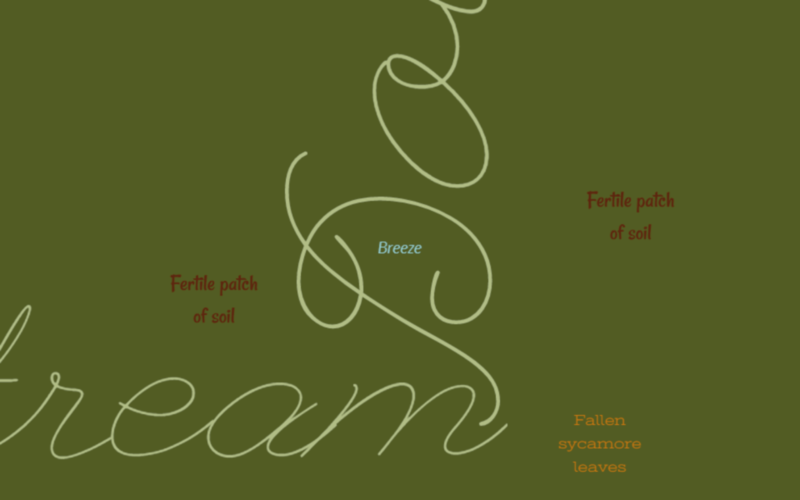 There were a couple of patches of soil, a stream and some fallen sycamore leaves. 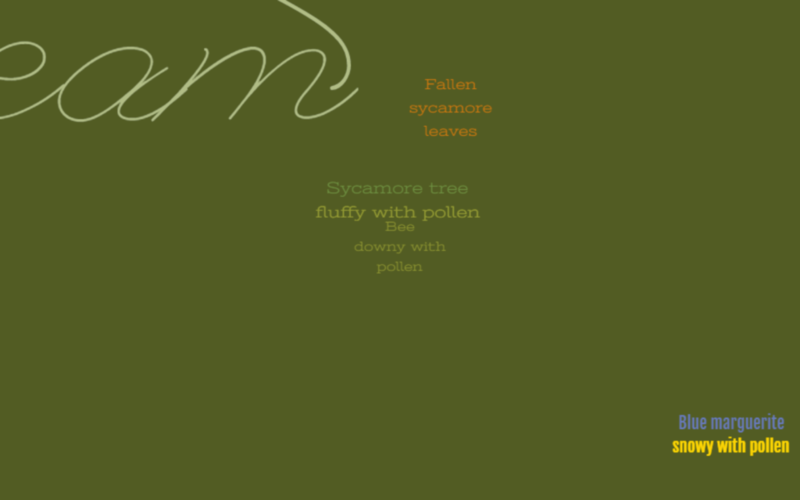 There was also a sycamore tree “fluffy with pollen” and a daisy fleabane “creamy with pollen”. 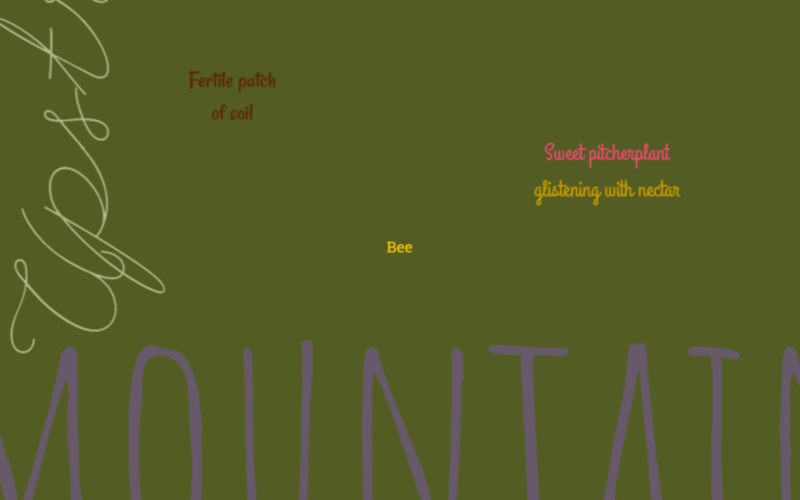 Further south, there was another patch of soil, a sweet pitcherplant “glistening with nectar” and a mountain range. Like a good bee, I went for the nectar. 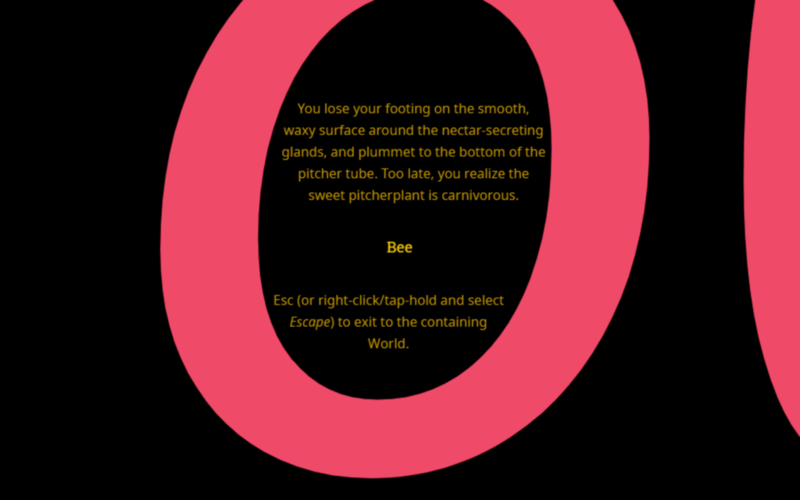 By the way, the big, pink O formed part of “Game Over”, as you discovered when you moved around. But anyway, hitting Esc returned you to the lobby. 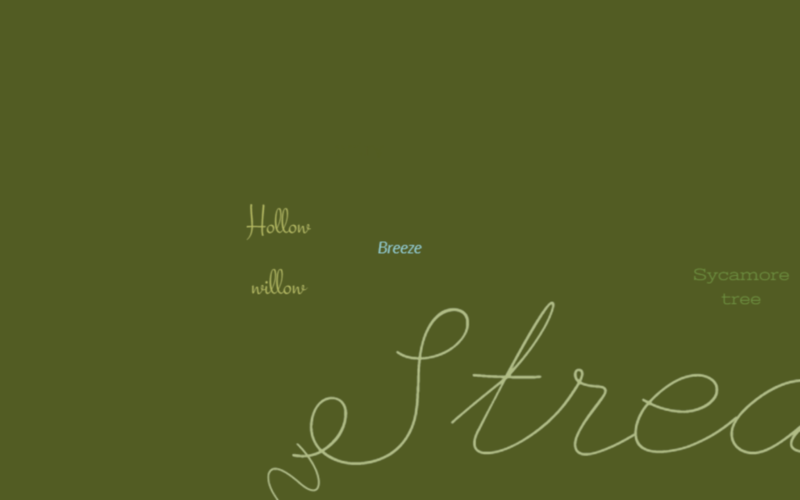 This time, I went in as a breeze. The bees had stopped buzzing. In its place, you could hear leaves rustling in the wind. I decided to go north this time. 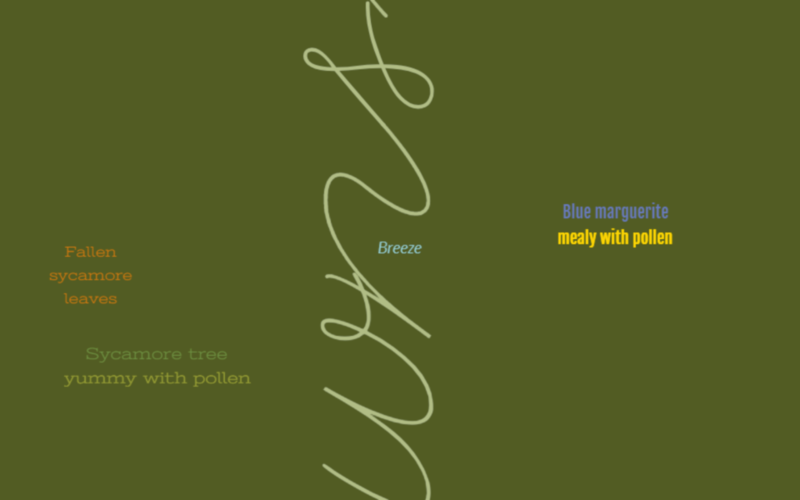 Another sycamore tree, more fallen leaves and a blue marguerite “mealy with pollen”. At this point, an idea might’ve started to dawn on you. 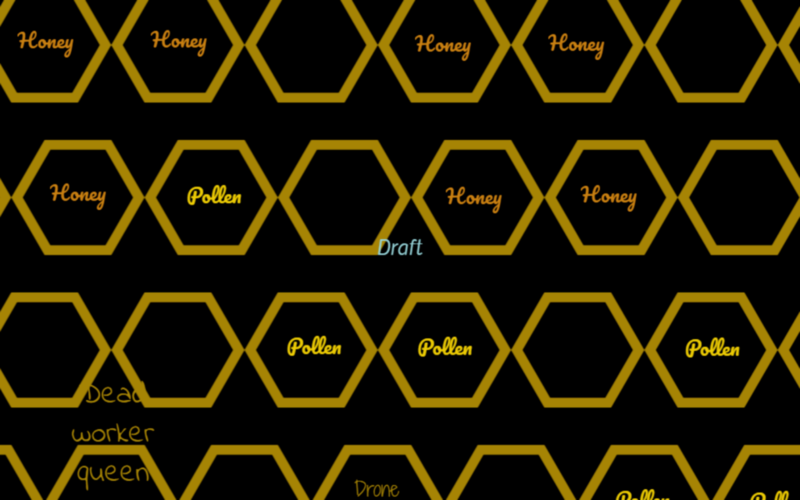 I hit Esc again and crossed the lobby toward the bee option. 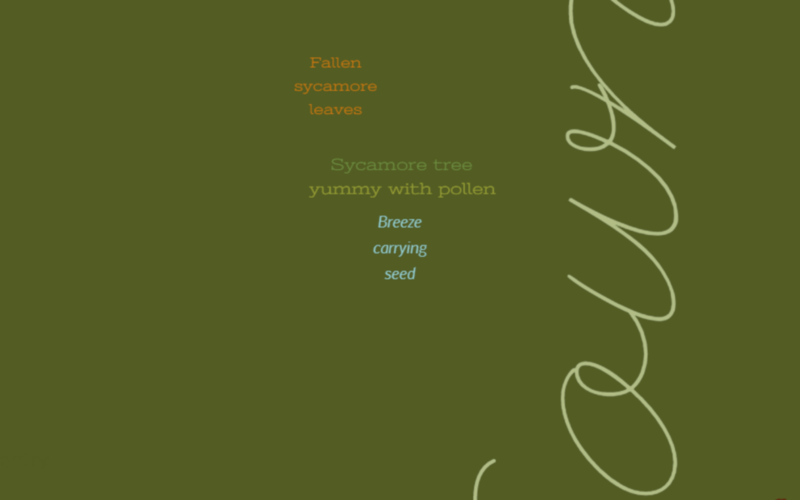 As a bee, I went straight for the first sycamore tree. 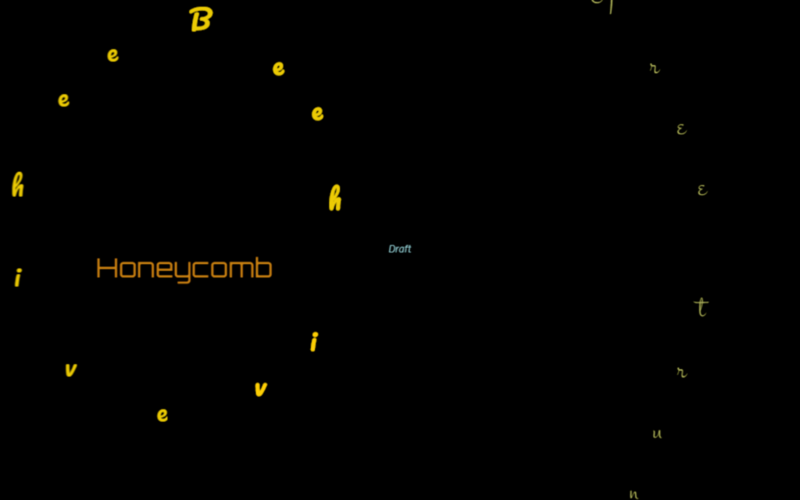 When I bumped into it, I changed into a “Bee downy with pollen”. 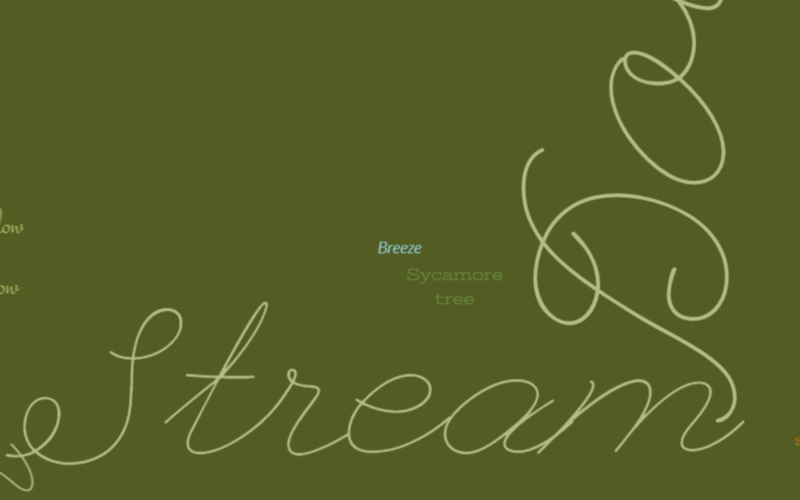 I headed for the other sycamore tree. 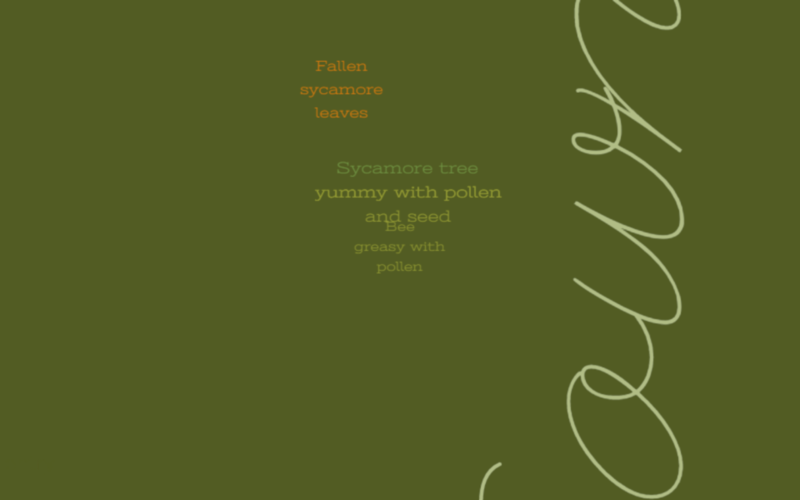 There was a jingle, and the tree changed from “yummy with pollen” to “yummy with pollen and seed”. I exited to the lobby and returned as a breeze, blowing north. 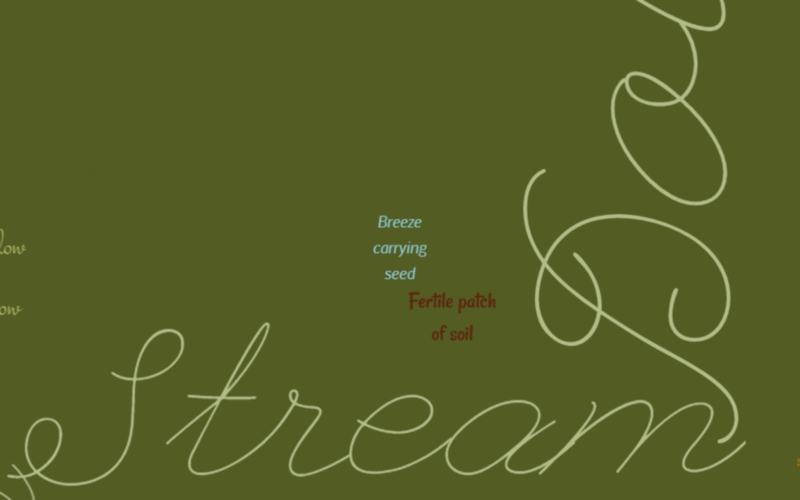 Picking up the seed, I changed into a “Breeze carrying seed” and swung around toward a fertile patch of soil. There was another jingle as the patch of soil turned into another sycamore tree. 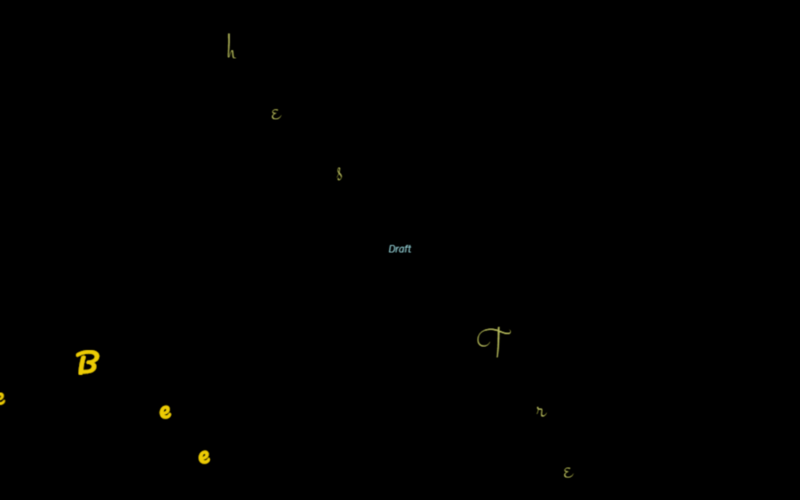 By the way, did you notice what appeared to be two cut-off words to the west? … And emerged as a draft. I blew down and came across the entrance to a beehive. 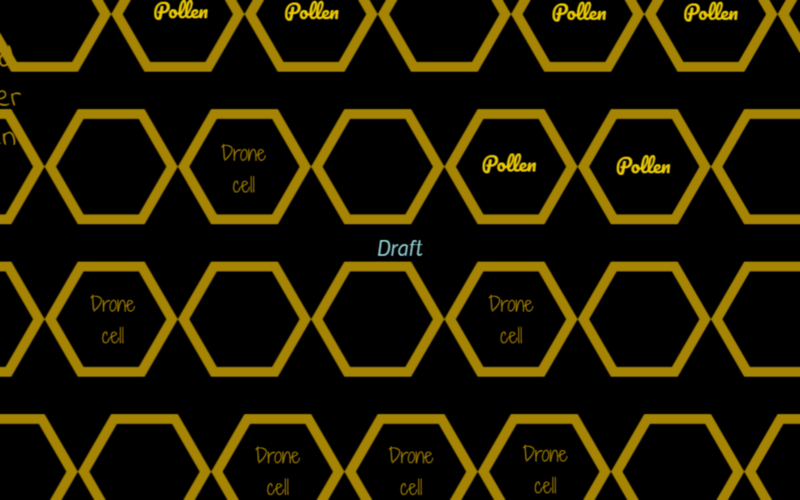 The honey cells were situated near the top. There was also a dead worker queen. I suppose I’m all in on these playthroughs now. Next time, we’ll begin exploring The Answer. As that’s a somewhat bigger world, I have a mind of splitting it up over several sessions, so as not to weigh down any one of them with too many pictures.